At Liberatore CPA, our clients turn to our experienced team to help them navigate both their most routine and most complex financial challenges. We offer a full range of business advisory services uniquely tailored to our clients’ specific business issues and personal objectives. We offer a full range of financial services and solutions, and though many accounting firms say they listen, we actually hear our clients. We support small businesses, large corporations and individuals through all business cycles – from start-up, growth, and expansion – all the way to maturity and through exit/succession planning. Libertatore CPA’s full range of services includes general accounting, tax strategy/tax preparation, and financial management for our clients throughout Southern California. Our experienced team consistently invests in continuing education and they are some of the most knowledgeable and credentialed professionals in the industry. 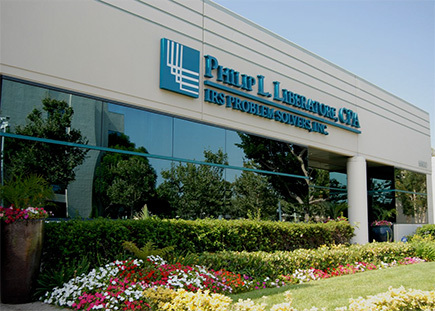 Phil Liberatore, CPA has had extensive experience in IRS management for over 35 years. Learn how he and his team can help you! See Phil Liberatore, your IRS Problem Solver break down the tax implications of buying and selling Bitcoin and cryptocurrency - in 60 seconds. Trump Tax Triumph: Biggest Corporate Tax Cut In American History. Also check out our latest news blast where where we provide you recommendations you can make before the end of the year to save on your 2017 taxes! You won’t want to miss hearing Phil Liberatore, CPA, live on Politics & Profits. Phil shares key insights that can positively impact your business and financial future! Tune in to hear Phil Liberatore, the IRS Problem Solver, share insights on why Republicans need to focus heavily on tax reform and make this happen! Phil Liberatore, IRS Tax Specialist, joins Colleen Williams on Nonstop News LA to discuss how to fix mistakes, or avoid them in the first place, before the IRS comes knocking on your door. IRS tax expert with the IRS Problem Solvers Phil Liberatore joins Colleen Williams on Nonstop News LA to talk about President Obama?s latest economic proposal that would require wealthy Americans to pay more taxes.